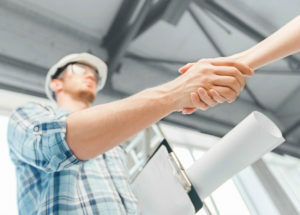 If you are a Trade Contractor looking to work with us, please refer to the Trade Contractor section. Whatever sparked your interest in construction, we are pleased that you are interested in our firm. The secret to our success lies within our people. It’s their experience, passion, excitement, sense of urgency, and attention to detail that helps to differentiate us from the competition. Our dedicated people allow us to cultivate repeat clients. We are always searching for great people to join our team. We focus on our employees by mentoring them and ensuring they are properly compensated so that they’re happy which reinforces their continued passion and desire. We are looking for individuals in fields like construction, construction management, engineering, finance, accounting, and business development. We have a team approach where anyone will stop what they’re doing to help out a coworker. That helps to maintain our fun, family environment. We provide a competitive and comprehensive benefits package that may include travel per diems, health insurance, a 401(k), our mentoring program, and other benefits. We seek individuals with passion and desire. We want them to “think out of the box” and go above and beyond. Please take a moment to read more about us on our website and contact us if you think you’re a fit. Please email your resume and compensation requirements to Careers@AllertonFox.com.